WhatsApp is, without a doubt, one of the most popular messaging apps of all times. It was purchased by Facebook a few years ago, and, since then, has seen several significant updates and the latest one is a must have for all your security-conscious folk out there. Two-step verification has now been implemented in a new update, helping to keep the more than 1 billion users more secure than ever before. The update is for all platforms that support WhatsApp including iOS, Android and Windows Phone OS. 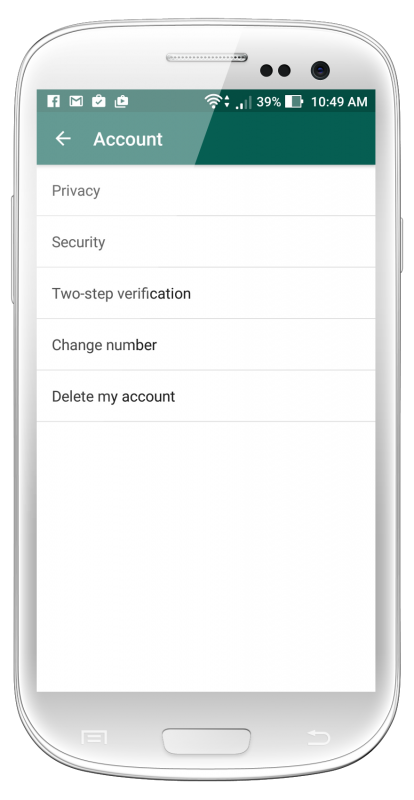 The update has been in beta for a few months and has now been rolled out and we’re going to tell you how to set up two-step verification. You will now be asked to input a 6-digit passcode , this will be used when you register your phone number with the app and, whenever your phone number needs to be verified, this is the code you will need to use. The next screen will inform you that you need to input your passcode when you register your phone with the app and there are also options to disable two-step, change your passcode and change your email address. It is also worth noting that your email address can be altered and two-step verification disabled without the need for your passcode if anyone has access to WhatsApp on your device. However, should the app be hacked into remotely, two-step will certainly provide you with an extra layer of security. The WhatsApp update is available for downloading now and, if you are security conscious you should get to it and download it right away. And do make sure you enable two-step verification immediately; instances of mobile hacking are on the rise and you can’t be too secure. Let us know what you think of the new update. Are you going to enable two-step verification on your iOS device ? Follow us on Facebook for all the latest news.